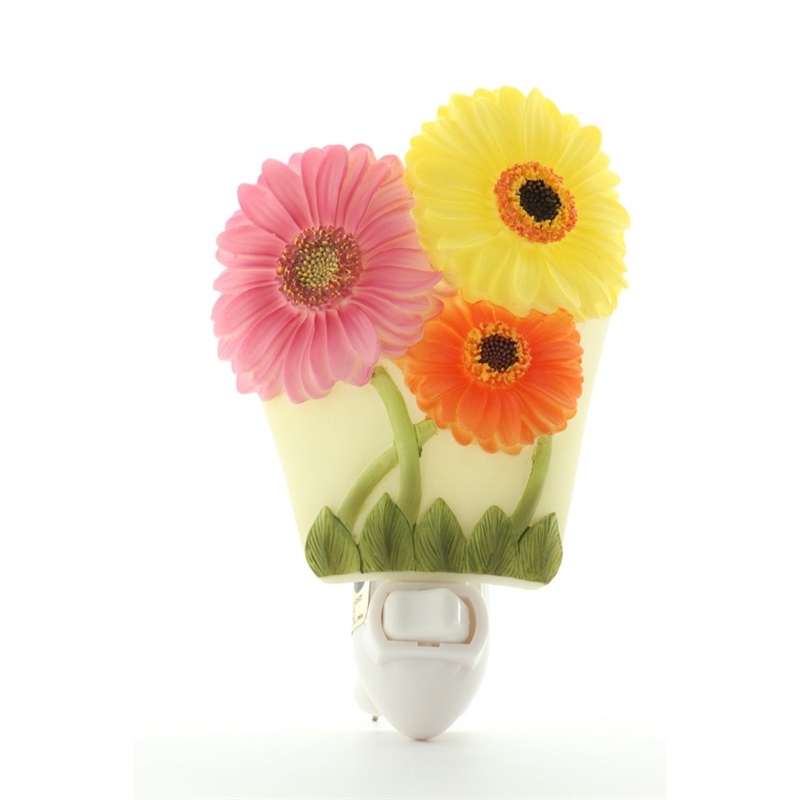 Gerber Daisy Nightlight, beautifully crafted by Ibis & Orchid, Inc. This Gerber Daisy Nightlight, beautifully crafted by Ibis & Orchid, Inc., is cast in quality bonded marble and then expertly hand painted. These playful daisies sport petals of yellow, pink and orange.